Oh, it's a Bittersweet day. I love Five for Fridays with these talented ladies, and always look so forward to seeing what they have created for these Fridays. This team is coming to an end and that is sad, but I will certainly still be using Tammy's beautiful stamps and dies... and will defiantly be staying in touch with Tammy and all these lovely ladies. Tammy has been a friend of mine for years. We have worked many trade shows together. She has such talent and such a kind heart. I wish her tons of good luck in all her new endeavors. Big, big hugs to Tammy and all the ladies! If your looking for a fun last minute gift. How about filling an old jar with candies and embellishing with these fun mittens? I added the "for you" stamp of Tammy's also. 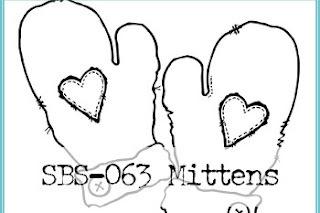 It's hard to see here ,but I stamped these mittens twice and cut out and colored the hears and mitten cuffs, raising them up with small foam squares from Scrapbook Adhesives by 3L. It really gives it so much dimension. I added some silver Stickles to the cuffs also. This jar used to be my moms. I'm sure she used it for many years. This will be a gift for my niece. I know she will treasure this jar. I just attached the mittens with Adhesive Dots so that they can be removed so the jar can be used year round. I'm a big fan of just embellishing things for the Holidays. It sure saves on space. I certainly have plenty of Holiday bins in the garage. yikes! I look for ways to reduce. 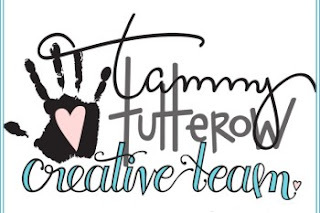 Please pop over to Tammy's blog, give her some love, and see the beautiful things the ladies have created this week. You always have the best ideas, Vicki, things I'd never think of! Merry Christmas and Happy New Year - hoping we'll meet again in 2018!! 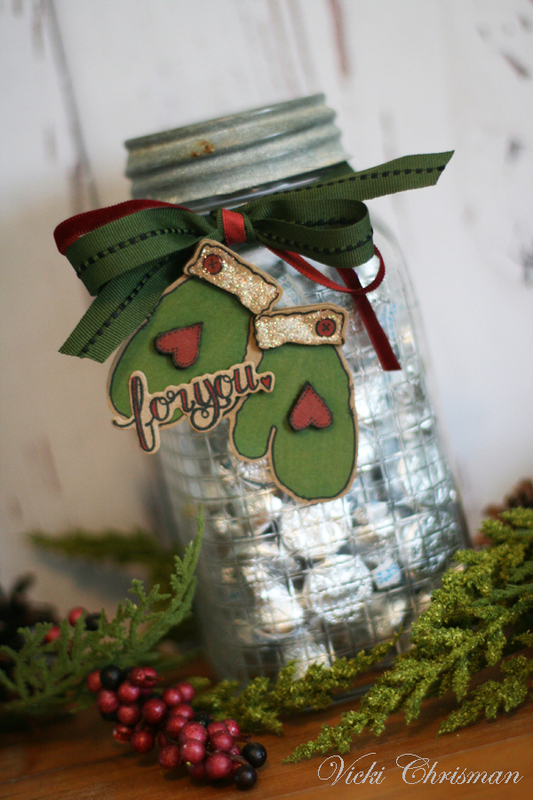 I just love this little candy jar and those mittens are one of my favorite stamps. I love the vintage jar and pretty ribbon and those golden cuffs are the perfect finishing touch. It's been so fun being on this team with you, Vicky. I will continue to admire your work and sweet and clever style. Merry Christmas and I hope you have an awesome 2018! Vicki, the jar is beautiful and the mittens are darling! Love them and the saying. Merry Christmas love.